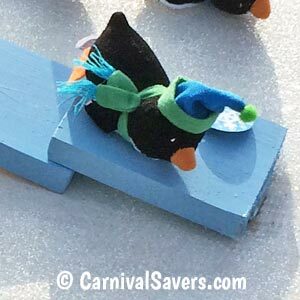 Penguin Pop Up - DIY Winter Game! Penguin Pop Up Game - Glitter added to the Board. DIY Iceberg Landing Pad for Penguin Game. 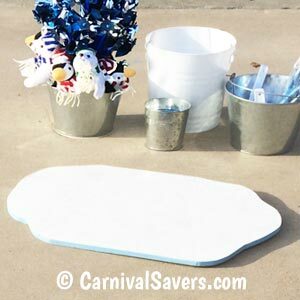 First, your volunteer will need to make the launch pad and Iceberg landing pad. Our Launch Pad is about 30 inches long by 23 inches wide with rounded corners. Our "Iceberg" is about 22 inches x 14 inches cut in an uneven shape. You can make your own unique shape. Next, you will need to make a "SeeSaw". 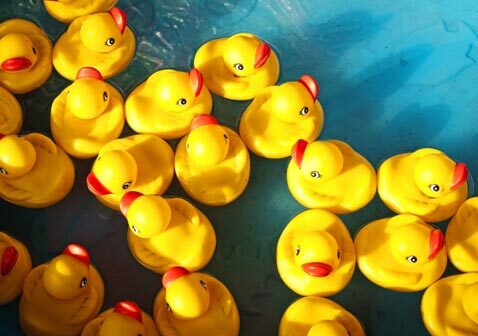 You can make the seesaw myriads of different ways, but we are showing you a method that worked for our game. First, cut your 1 x 4 board to make your two boards, one "the launcher" about 18 inches in length, the second small board "the flapper" will be about 6 inches in length. Using your metal "L" shaped bracket, cut the bracket with a saw to about 4 inches wide. Now attache to "L" bracket to the hinge. Now align the seesaw set on your Launch Pad (be sure to overlap the "flapper" board over the "launcher" board by an inch or so - and mark both boards with a pencil to know the placement when attaching. Finally, attach the "launcher board" to your Launcher Pad using screws. Note: it is best to sink the screws into the board from the underside to make sure the Landing Pad rests flat. 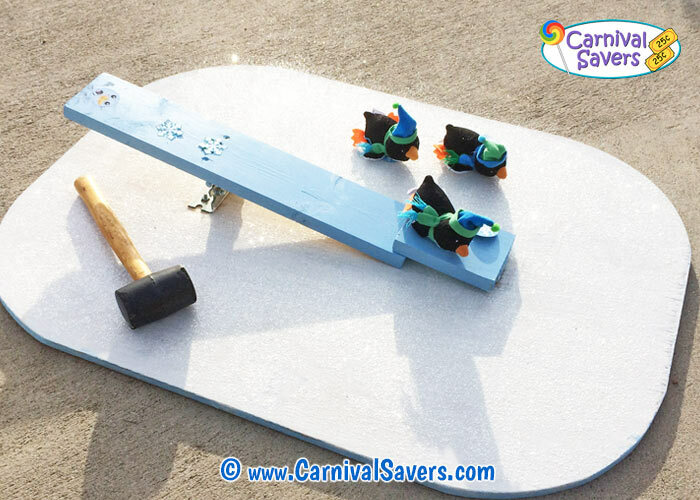 Finally, attach your seesaw and wooden flap to the board and test out with your mallet. Of course, you will want to paint it. We used white and a light blue on the launcher and flapper and edged of the iceberg too! And, while our white paint was still wet, we added some iridescent glitter for a nice touch! This game can be setup on a table or on the ground. Volunteers have an easier time if this winter game is setup on a table (less bending to retrieve penguins that did not land on the iceberg). As suggested above, it is a good idea to use a table with adjustable height and to have the table set on the lowest level so younger children can see and play this game too! Children are given 3 chances to hit the end of the launch pad and try to get the penguin to land on the iceberg. Note: We generally give kids ONE practice run to see how hard to hit the end for the penguin to make it into the air! Like so many carnival type games, this is somewhat a game of chance as the penguins may land on the iceberg, but bounce off. The first few times we played this game, we had the iceberg landing pad flat on the ground (as shown). We found that sometimes the penguins landed on the edge of the iceberg and then the volunteer had to decide if the "landing" counted and the child won the top prize. We later discovered if we elevated the landing pad with a few bricks or even a sturdy box (a few inches tall) then the penguin either landed or bounced off the iceberg and there was no in between! Note: Preschool children seem to have a tough time giving the rubber mallet enough muscle to make the penguin jump. We have allowed the parents to hold the mallet with the child to try to give some more muscle to the game so they can have some success! PENGUIN POP-UP SUPPLIES & WINTER PRIZE IDEAS TOO!